This is yet another college I would never send my kids to or go to myself. It engenders racial division and spreads lies to tear us apart. The course also pushes class and gender warfare. That’s just hateful, sick and twisted. Other aims of the course include defining what it means to be “woke,” as well as examining what an “ethical white identity” entails. I don’t even know what that means, but I know I don’t like it. The College Fix was all over this as usual. You should read their site daily… they expose this kind of idiocy all over the place. 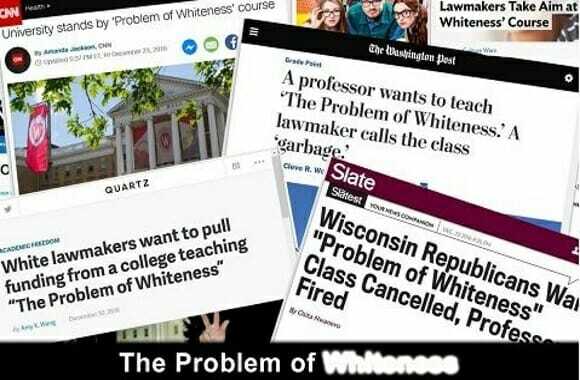 A spokesperson for the University of Wisconsin-Madison said that students have responded well to the course, which was introduced in the Spring of 2017. “Student feedback was overwhelmingly positive — students said they found it valuable to examine majority cultures and how power imbalances are created, sustained, and challenged in societies around the world,” the spokesperson wrote. That’s because they have been brainwashed with Marxism and elitism. Many have been taught in their homes and at college that black people are oppressed and white people are evil. Before Obama, I thought we were past all that. But he brought it back to the forefront and it’s spreading like a cancer. I don’t blame the GOP for seeking to get the course cancelled in 2016. It should never have been allowed in the first place. Wisconsin state Rep. Dave Murphy (R) was one of those lawmakers unhappy with the class. 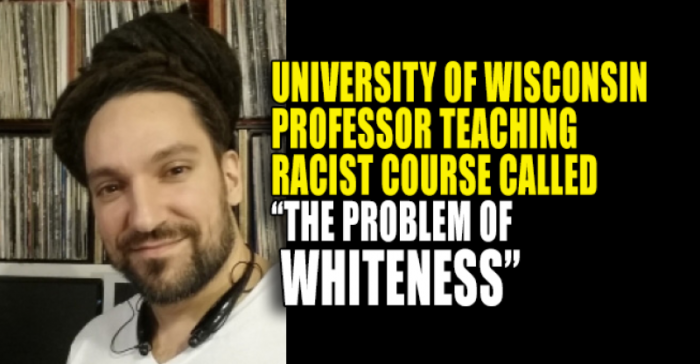 Murphy in 2016 wrote, “I am extremely concerned that UW-Madison finds it appropriate to teach a course called, ‘The Problem of Whiteness,’ with the premise that white people are racist.” It’s part of an agenda to create a race war in this country and it’s evil. Murphy is right to oppose it. Republican Wisconsin Gov. Scott Walker in 2016 noted that the class’ premise was “goofy.” I think it is far worse than that. This is the handiwork of racists and communists on campus. According to WEAU-TV, Walker said that “the better area to focus on with funding is the broader issue of accountability and performance,” but did not outright condemn the course, stating that he does not think the “governor should be telling people what classes they should or shouldn’t have.” That’s true, but when the classes turn revolutionary in content or subversive, I think it’s time to step in and put a halt to it.